Take note!! Flannel is considered a winter sheet. Why?? It is not cold to get in to on those cold nights like regular cotton. However the looser the weave the more it breaths. Many use this supreme flannel all year round!! Just saying!! 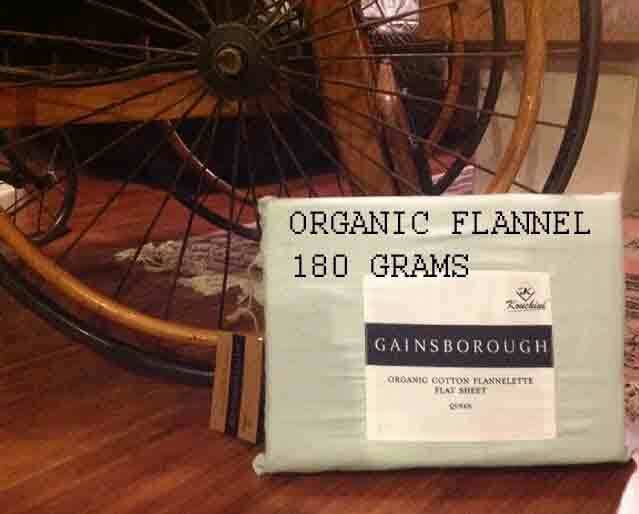 The Gainsborough/Kouchini organic flannelette is made from ultra soft 180 gsm flannel cotton offering the ultimate bed time luxury. Most flannel sheets in North America are 130 to 150 gsm. Some are also blends!! the lower the gsm the more likely they will pill in a very short time especially flannel. Crafted with the highest quality yarns and free from harsh chemicals. Our super snug cotton flannelette is perfect for cold winter nights. 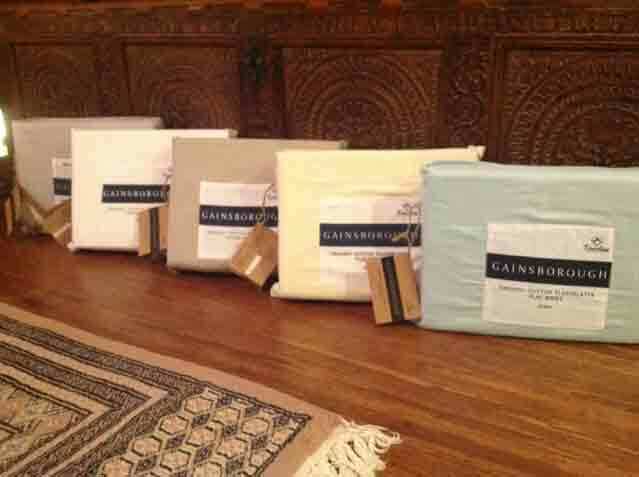 These sheets are sold open stock so you are not forced to buy by the set. The fitted sheets are deep fitting up to 16″ with elastic all the way round!! Makes for a great fit for all mattresses.